FASTBACKmustang.com - Details of the customization of my 1966 Fastback Mustang. Holley, Edelbrock, Granada, MSD, SPAL, Wilwood, BF Goodrich, World Products, Hedman, Summit Racing, Jegs, Unisteer, AFR, Auto Parts Warehouse, American Muscle. In this section I will detail some of the products I have either used directly on my car. 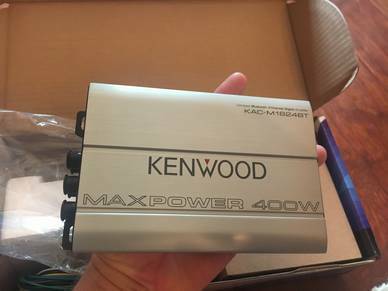 Most of these products perform very well, because I spent a considerable amount of time researching what others have liked on their cars. Let me know if you would like further details on the installation or performance of a specific product. Billet Tail Light Covers The Billet Tail Light Bezels are a very quick and easy way to change the external appearance of you Mustang. I decided to go with billet ones, because I like the styling and look much better than the stock bezels. 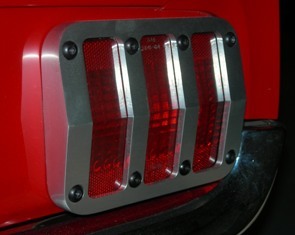 The ones I bought can be purchased through a number of other Mustang parts vendors including Mustangs Plus. I got mine at a really good price off eBay. 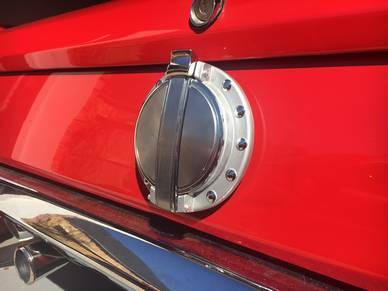 There are other slight variations of this billet bezel, and also matching billet gas caps to complete the look. For 10-minutes it really changes the look of the rear of the car. I included it on the site primarily because I get alot of compliments on them and people asking where I got them (I guess alot of Mustang enthusiasts are not all over the web like I am). Scott Drake Billet Battery Tray When I rewired the car I decided to move the battery back to the engine compartment, but to put in one of these billet battery tray kits from Scott Drake. The kit fits perfectly and looks exceptional. I was somewhat skeptical because I hadn't seen many people with these in their cars. The kit can be found here. Kenwood Bluetooth Amp(KAC-M1824BT) I changed my stereo setup to be able to stream from my phone. This amp has both a Bluetooth input as well as a USB input where you can charge and play from your phone. Overall the sound quality is not anywhere near where I would prefer for it to be, but for the price this thing is adequate. The form factor is also such that it fits right above the driver kick panel between the glove box and the side panel. You can find one here, but like most electronics do a search. You can generally pick these up for right around $130 new. 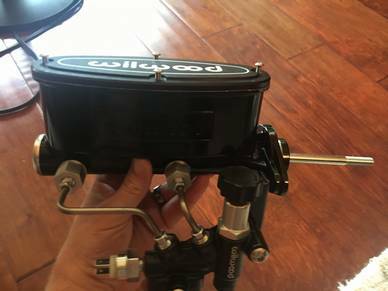 Wilwood Master Cylinder Kit I decided to get a nicer master cylinder and more professional hookup for the prop valve. After some research I picked this Wilwood kit. 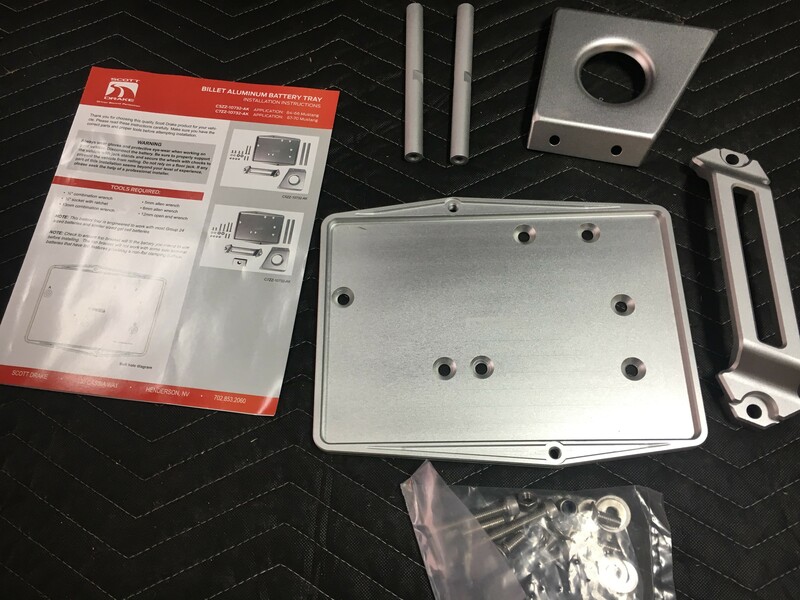 This kit is incredibly nice, but overall they could make it slightly easier to install. There are some spacers that go between the mounting bracket and the MC. They are a pain to hold in place while you try to thread the main MC bolts. I ended up putting a small dab of glue to hold them in place. I also had to cut off a bit of the threads to get the length of the pushrod length right. I compared to what I was removing and needed about an inch or so less than the shortest lenght I could make it. Other than that the kit is very complete and nice. The kit fits perfectly and looks exceptional. I was somewhat skeptical because I hadn't seen many people with these in their cars. The kit can be found here. 71-73 Pop open Gas Cap To me this was something I had always liked and wanted. Took me years to actually buy one, but I have always like the look of it. I thought they were specific to a 73 Mach 1, but most places that sell them say 71-73? I am just not as familiar with the 71-73's though.. As you probably know it is a direct bolt on with no need to cut/drill or change anything on the car (so you can always go back to stock later). The part can be found here. 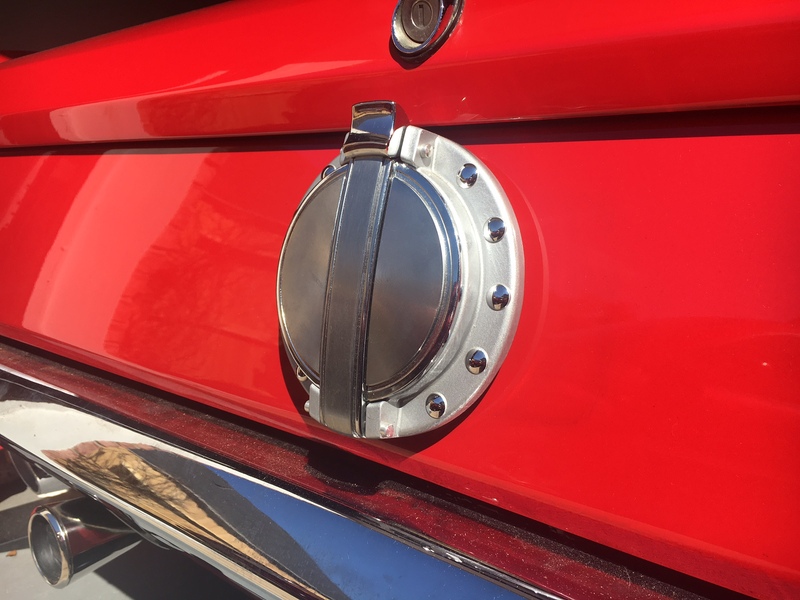 Scott Drake Exhaust Tip 2" Pair GT 1965-1966 I had had the exhaust cutouts on my original Fastback, and on this one. 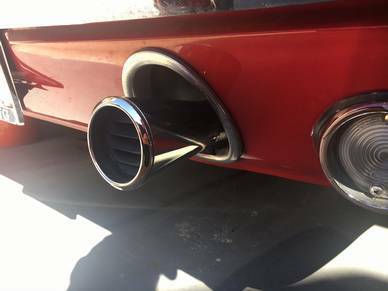 When I was in HS with my first one my dad really wanted me to get the "Exhaust Trumpets" for the back. I admit they do look pretty unique. They have a concourse style that they have been selling for years and this newer straight pipe style that you can use more easily if you already have straight pipes going out the back. I chose the straight style just because I wouldn't need a muffler show to do any work and effectively they look the same. Overall fit and finish on these is great! The part can be found here.